1. For cutting any angle from 90° to 45° (30°) left. 4. Full stroke of hydraulic vice. 5. Blade tension gauge for optimum cutting force. 6. Tungsten carbide roller guides. 7. 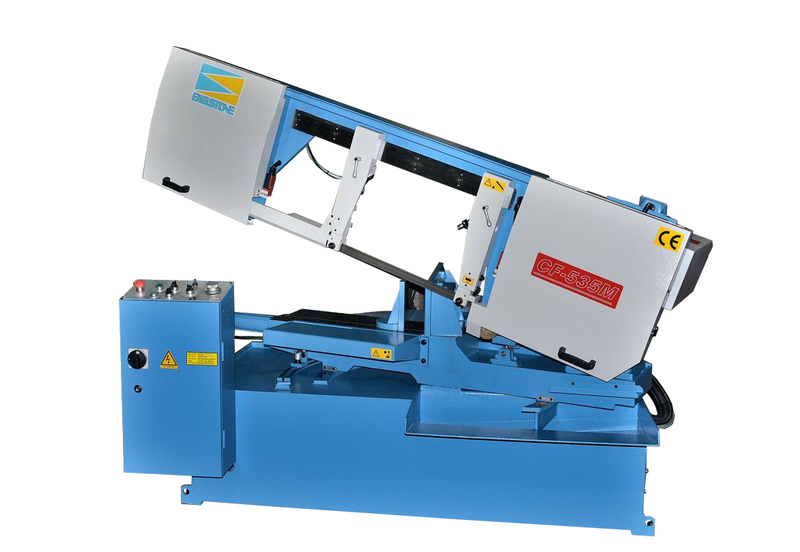 The machine automatically raises to the top position at the completion of the cut.